Found 13 file extension associations related to Windows Virtual PC (Microsoft Virtual PC) and 9 file formats developed specifically for use with Windows Virtual PC (Microsoft Virtual PC). Virtual PC (Windows Virtual PC in Windows 7, also Microsoft Virtual PC) is a powerful software virtualization solution that allows you to run multiple PC-based operating systems simultaneously on one workstation, providing a safety net to maintain compatibility with legacy applications while you migrate to a new operating system. It also saves reconfiguration time, so your support, development, and training staff can work more efficiently. Whether Microsoft virtualization technology is an important component of your existing infrastructure or you're just a Virtual PC enthusiast, you can now download Virtual PC absolutely free. Use Microsoft Virtual PC to run multiple operating systems at the same time on the same physical computer. Switch between virtual machines with the click of a button. Use virtual machines to run legacy applications, provide support, train users, and enhance quality assurance. 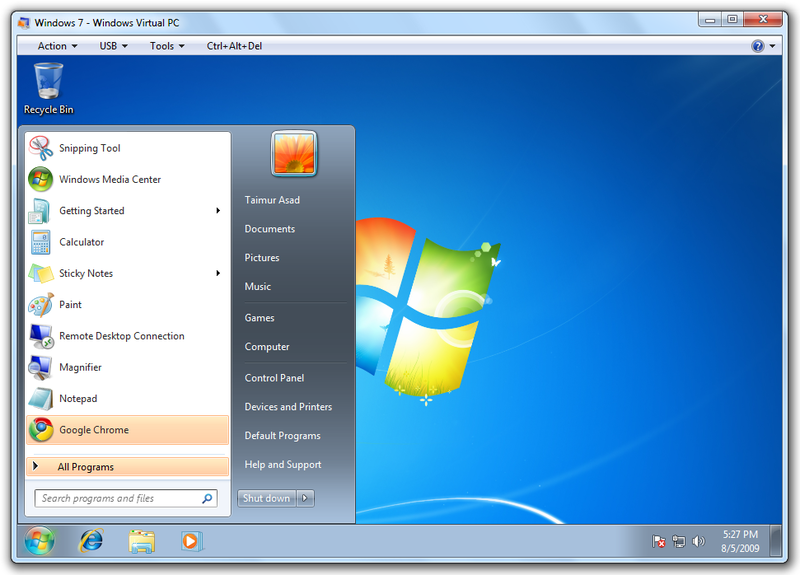 Virtual PC lets you create separate virtual machines on your Windows desktop, each of which virtualizes the hardware of a complete physical computer. Use virtual machines to run operating systems such as MS-DOS, Windows, and OS/2. You can run multiple operating systems at once on a single physical computer and switch between them as easily as switching applications—instantly, with a mouse click. Virtual PC is perfect for any scenario in which you need to support multiple operating systems, whether you use it for tech support, legacy application support, training, or just for consolidating physical computers. Virtual PC runs on: Windows XP Professional, Windows XP Tablet PC, Windows Server 2003, Windows Server 2008, Windows Server 2012, Windows Server 2016, Windows Vista Business, Windows Vista Enterprise, Windows Vista Ultimate, Windows 7, Windows 8, Windows 10. Run Virtual PC machines in VMware Workstation - Converting Virtual PC VHD files to VMware Workstation VMDK file format with vCenter Converter Standalone. Run VMware virtual machines in Virtual PC - Converting VMware VMDK disk to VHD virtual disk format with StarWind V2V image converter. If you need more information please contact the developers of Windows Virtual PC (Microsoft Virtual PC) (Microsoft Corporation), or check out their product website.